If you are looking to improve SEO and search rankings feel free to contact me at jwojdylo@gmail.com as I have several monthly packages that can help you increase business through online search. Orthodontists all over the United States are looking to improve their search rankings. Orthodontics SEO is truly “a thing” with many companies focusing on medical professionals that get clients through Google search. Every single time a business professional contacts me I try to explain the importance of unique content on a website. Time and again Google has stated that quality content is the best way to increase search traffic. That is all fine and dandy but how does an orthodontic practice come up with creative blog posts on a consistent basis? This is not easy. In fact, it is extremely different. There are only so many ways you can explain how braces work, right? How many different ways can you blog about the benefits of Invisalign? Rather than beating your head against the wall it is sometimes a good idea to bring in a fresh mind. Luckily for you, you do not have to look very far. Every single client that walks through the door of a practice is bringing in a fresh perspective. As soon as clients walk in they start asking questions. Have a staff member jot these questions down as these are perfect for blog posts. Something I explain to all my clients is that each of their customers/clients will search for unique keywords. 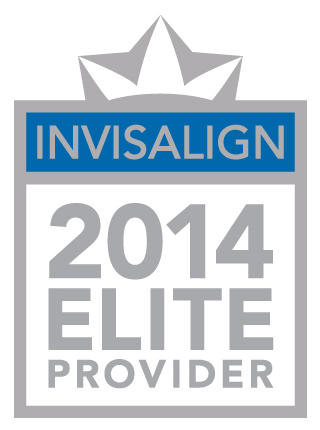 One person may search for invisible braces while another may search for invisalign braces. The only way you will know is to take in the data when these individuals walk in the door. The absolutely best SEO, in the form of unique content, is to publish something that is said in real life but is not on the Internet. When a client comes in and has a problem with their braces they are going to describe it in a way that is much different than someone that has been an orthodontist for three decades. Something else that is wise is to do a “history” series on a blog. Over the last 100 years the orthodontics industry has changed quite a bit. Why not do a history series on one of the companies that provides tools or instruments? You could even do a history series on the different colors of braces over the years. There are hundreds of different ways to create a history series; get to it today. Ultimately, all orthodontics practices will want to make certain this content is being published to their website. If you are looking for a copywriter or a creative content specialist please feel free to contact me at jwojdylo@gmail.com as I have several monthly packages that can help you get more customers through Google search. The more quality content published to your website the more search visitors you are going to get to your website. The best way to convert Internet traffic is to obtain search traffic because users are actually looking for something.